On 27 November 2016, Swiss will vote on whether to precipitate the closure of the nation’s nuclear power reactors. The initiative also aims to prohibit the construction of new nuclear power stations. If the initiative is approved, the nuclear power stations Mühleberg and Beznau 1 and 2 will be closed in 2017, Gösgen in 2024 and Leibstadt in 2029. In its 2050 Energy Strategy, the Federal Council set out a gradual withdrawal from nuclear energy. The strategy plans no new nuclear power stations. The Federal Council rejects the initiative on the grounds that Switzerland would be forced to import electricity, often produced by coal-fired power stations. 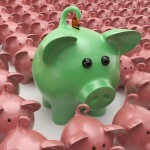 Premature decommissioning would also mean that nuclear power station operators could claim compensation from the Confederation, and taxpayers. It prefers to follow the existing plan which gives Switzerland sufficient time to restructure its energy supply system. 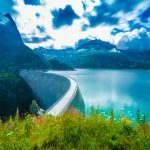 In 2015, Switzerland consumed 58 billion kWh of electricity. It exported 43 billion kWh, mainly to Italy, and imported 42 billion kWh, mainly from France, Austria and Germany. 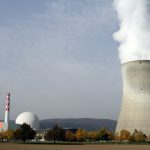 Around 35% of the total was produced from nuclear, 59% from hydro, and 6% from other sources, based on 2015 Swiss Federal Office of Energy SFOE numbers. The country has five nuclear reactors on four sites with a total generation capacity of 3,315 MWe, which produced 24 billion kWh of gross electrical energy in 2015. Location: Aargau. Closest city: Waldshut-Tiengen, Germany. Cooling water: from the Aare river. Reactors: two reactors switched on in 1969 and 1971. Beznau reactor 1 is the oldest operating reactor in the world, based on the date it was started. Production capacity: net electrical production capacity of 365 MWe per reactor – 730 MWe total. Output: 6.0 million MWh, around 9% of Switzerland’s net annual consumption in 2014. Planned shutdown: reactor 1 in 2019 and reactor 2 in 2022. Beznau is the oldest nuclear plant in Switzerland. Location: Bern. Closest city: Bern. Reactor: switched on in 1972. Second oldest. Output: 3.0 million MWh, around 4% of Switzerland’s net annual consumption in 2014. Planned shutdown: Original end date 2012, extended to 2019. Location: Solothun. Closest city: Olten. Production capacity: net electrical production capacity of 1,010 MWe. Output: 8.0 million MWh, around 12% of Switzerland’s net annual consumption in 2014. Gösgen – Source: Wikipedia – By Ch-info.ch (Own work). Cooling water: from the Rhine river. Reactor: switched on in 1984 – largest, most expensive and most recent. Production capacity: net electrical production capacity of 1,220 MWe. Output: 9.5 million MWh, around 14% of Switzerland’s net annual consumption in 2014. Planned shutdown: 2034, the last to be switched off. 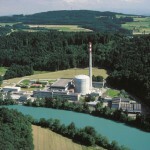 Three of Switzerland’s nuclear power stations are on the banks of the Aare river. The 295 km Aare, contained entirely within Switzerland’s borders, starts near the 2,164 m high Grimsel pass in the canton of Bern. From there, it flows into lake Brienz, through Interlaken, into lake Thun, through the city of Bern, into lake Biel, out of lake Biel and across the Swiss plateau before emptying into the Rhine river, which forms part of the border between Germany and Switzerland. In addition to cooling three nuclear power stations, it drives 40 sets of hydroelectric turbines. Percentages of total Swiss electric power production are based on 2014 figures from the Swiss Federal Office of Energy and Swiss Nuclear. MWe should not be confused with MWh. One MWe is one million watts of generation capacity. One MWh is one million watts of electrical power produced or consumed over one hour, a measure of energy – detailed definition.